Roughly five years ago, we directed your attention to a pair of blighted buildings on the northwest corner of 20th & Kimball. 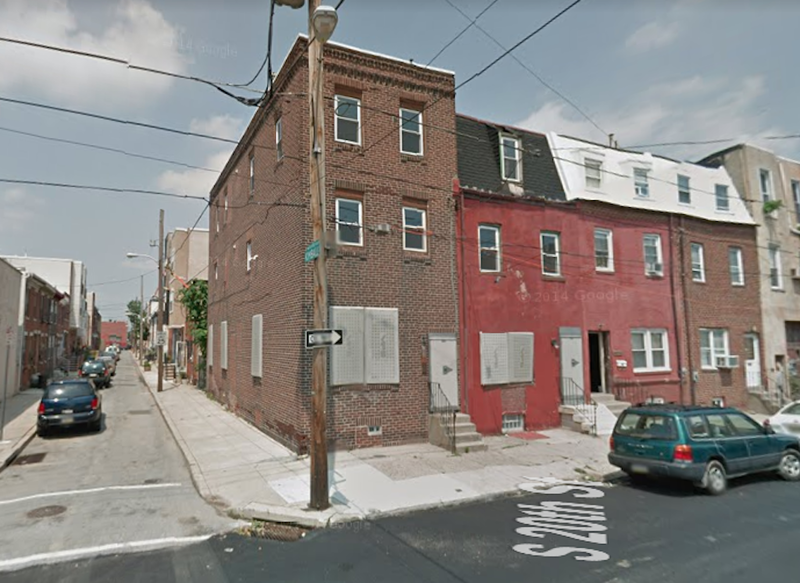 We noted at the time that the buildings were owned by the Philadelphia Housing Authority, and we also pointed out that the corner building had a violation for being in danger of collapse. We begged PHA to either repair the buildings so that they could be inhabited, or tear them down in the interest of public safety. 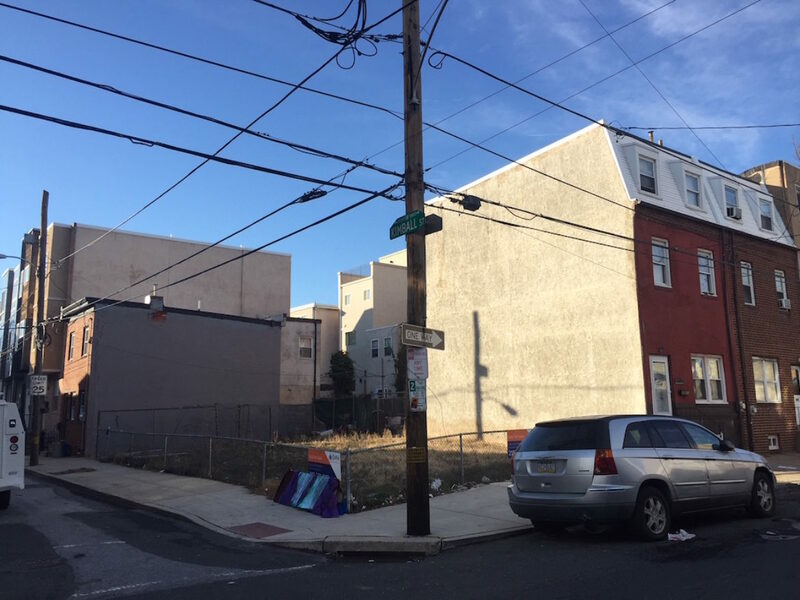 We don’t know whether it was our gentle request or the City’s insistent demand, but within a month, PHA started tearing down the homes. Shortly after the homes were torn down, we wondered what would happen next. 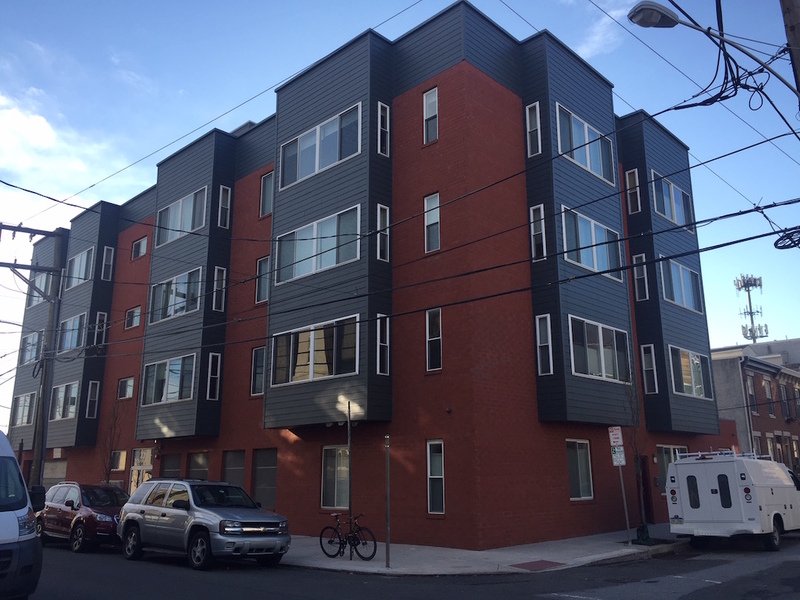 We figured on three possibilities: PHA building new affordable housing units, PHA selling the land to a market rate developer, and PHA simply sitting on the land for an extended period of time. If you look at the image below, you’ll see that door number three was the right call. But wait, if you look a little more closely, you’ll see that door number two was also a solid choice. ‘For Sale’ signs were posted to the properties a couple months back, with a combined list price of roughly $600K. Interested parties had until the end of last month to submit an offer, and while we don’t know who will be buying the lots, we do know that they paid above the list price. With a closing happening in the next couple months, it’s safe to assume that these lots will soon get redeveloped. But what will get built here? Nearby construction can provide some possible insight. On the southwest corner of this intersection is a sizable condo building with parking on the first floor. That type of project wouldn’t work on this roughly 2,000 sqft lot, but a five-unit condo building (w/o parking) would be permitted by right. 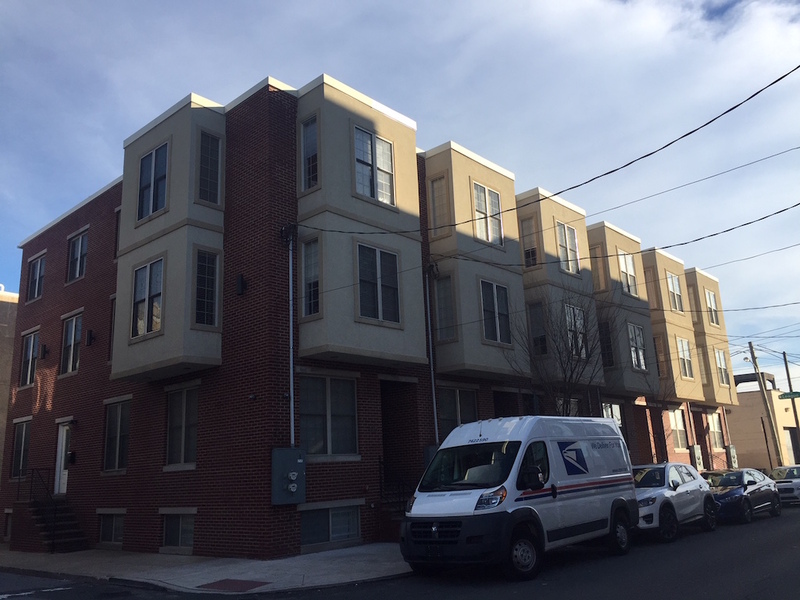 Another by-right alternative would be a pair of duplexes, which might lay out better than a five-unit building and would likely come at a lower construction cost as well. Single family homes are also possible, and with a zoning variance the new owners would be able to include a couple of rear-access parking spaces as well. Whatever ultimately gets built here, it will certainly be a welcome change for the people living (and working) nearby. These parcels were sitting vacant and blighted for a number of years, and just vacant for the last half decade. That’s a lot of years. We’ll cheer when something eventually gets in the ground, but it really bugs us that it’s been such a ridiculously long time coming.